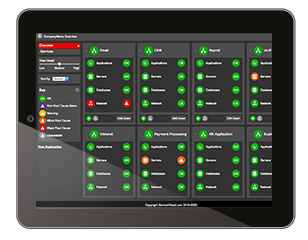 Application Service Performance Dashboards As A Service. We do this by discovering, modeling and monitoring all the managed objects that make up your unique application services, fully customizable to your business. We capture everything from multiple data-sources to ensure we are measuring all the IT elements, physical and logical, that have an impact on service delivery, from network, applications, server, databases, storage to unified communications. 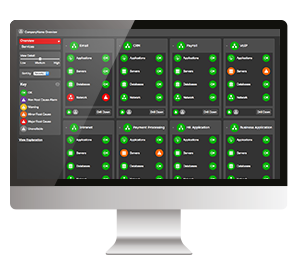 Our dashboards are clever because they understand the relationship and interdependencies between the elements and know when an issue is a service or operational outage.